Its a new week , and it started out far too early here. Having just one vehicle and motorcycle in winter months can be a bit trying at times, such as mornings like this when hubby needs to be to work by 6:30 A.M. With -25 degree weather often, the best choice is to drive him in and pick him up. No complaints here, but the early mornings can make for a tired mommy. 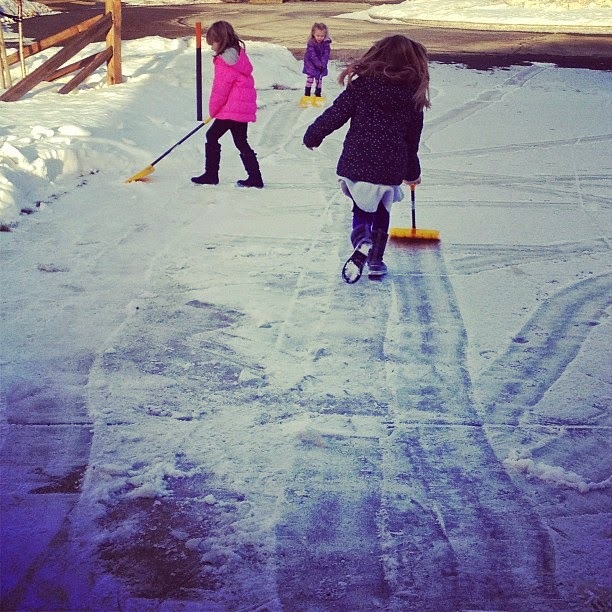 And speaking of winter weather, what better way to clean up said weather than with a few cute little helpers! We found them these little shovels this year and being new to the snow again, they are quite the eager helpers! One can't complain. I am so happy to call Mondays around here sketch reveal day for Scrapbook Challenges. I was so happy to asked to be part of this great group. Seeing all the awesome takes on the sketch's each week. 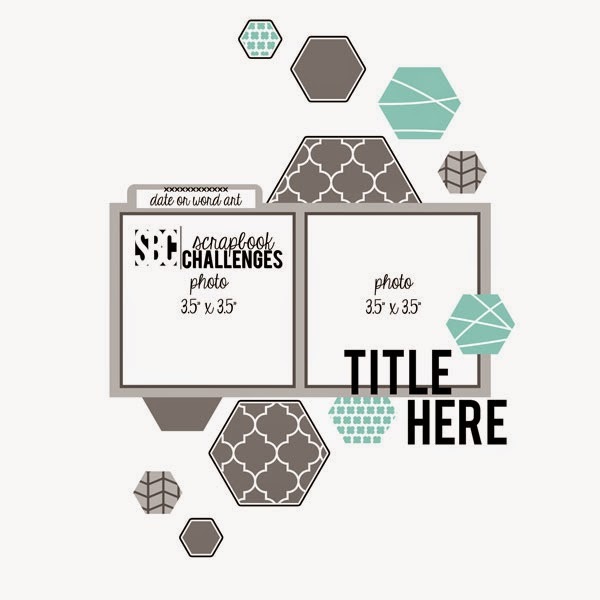 This weeks sketch was super fun with floating hexagons and a great base for your photo. I altered the layout a bit by using these awesome wood grain numbers from Pretty Little Studio I had squirrelled away for a rainy day! I also chose to play around with my journaling, adding it to the perimeters of my page! We were so grateful to have so many great friends for ourselves and the girls in Cali, and they are already greatly missed, so what better ay to remember them than by documenting it. While working on the layout, the Bruno Mars song came on, prompting me to using the lyrics as my journaling around the layout. Of course I had to add all my floating bits, completing the layout! We would love for you to take a peek over at the website to see all of the other team members take on the sketch and play along with the fun sketch! In order to be eligible for our Monthly Prize drawing all completed layouts must be submitted by 11:59 p.m. PST February 28, 2015. Thanks for peeking in, I hope you all have an amazing start to your new week! Love love love love this! LOVING the way you did the title around the edges and loving the big numbers!!!!! ohhh love the wording border around your page!!! glad the girls are helping to shovel that helps!!! Hello pretty girls and a new gig! This Is The New Year with a collected few favs.